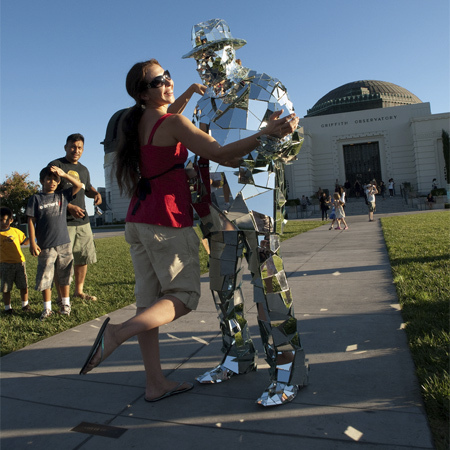 Street performer dressed in a costume made from hundreds of mirrors was spotted near Griffith Observatory in downtown Los Angeles. 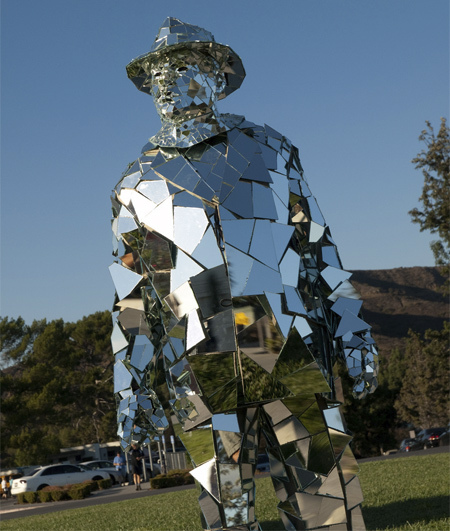 It looks like the Mirror Man made quite an impression on the surrounding people. Series of photos by SiLver sKY. Quite a costume for Halloween night! Oh god this is so awesome. Although it’d be hard to move around in, haha. That must be very warm inside! 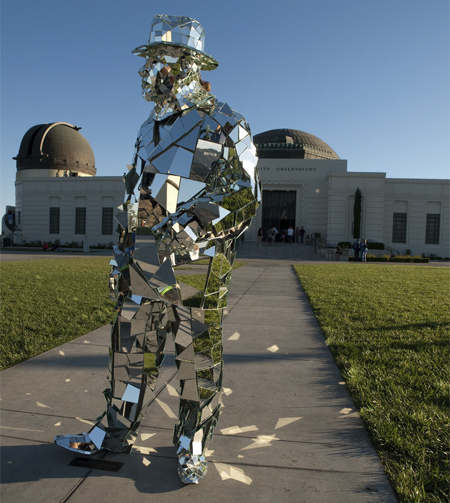 He looks as if he’s almost invisible…!! It’s Hollywood…in LA, everyboy’s an artist – a creator. Thats pretty sweet. GLASS SUIT UP. Man…that’s hot!! 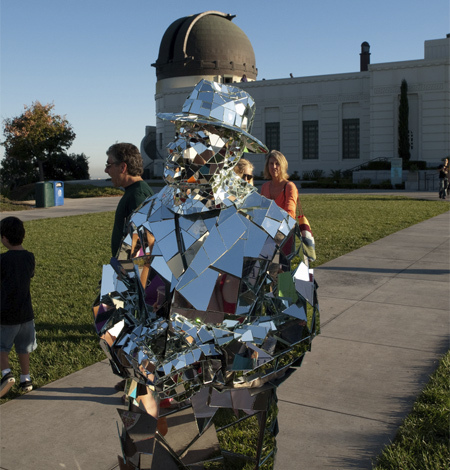 I mean that literally….to be suited in that at G.Park cannot be comfortable…but very Cool. Epic is the only word. woah. intense. how does he move? this is awesome. Move over iron man! 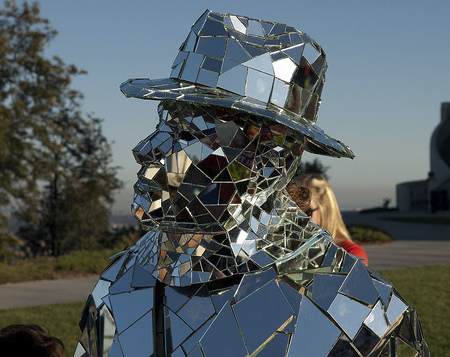 Mirror man here to blind you unexpectedly during day time! It’s not a costume if you can’t wear it. if he falls…is that 7 billion years bad luck ? Not to mention the bad luck for tailoring the suit! hahaha i agree with kimmo is does. awesome idea, i wonder how he made it though? This thing is awesome! The suit/face makes him look like a mobster. 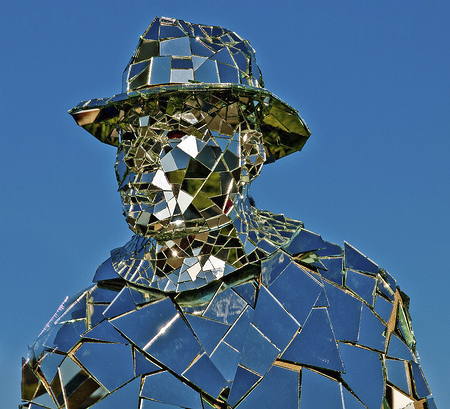 A very reflective mobster. Mr. Glass was the villian in “Unbreakable” with Bruce Willis. He was played by Samuel L. Jackson. I think it would be of a lot fun to dance with him, always seeing myself on him. That’s really a great work. It’s about the interaction of others.